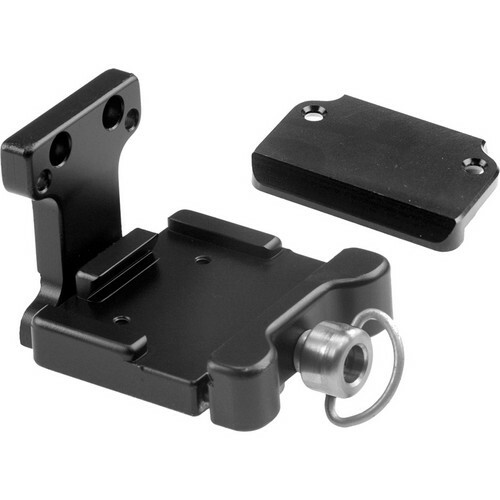 The QRM-C Manfrotto 3157N Style Camera Quick Release Kit from Custom Brackets includes one QRM-C Camera Quick Release Receiver and one CK-501 Bogen Pistol Grip Plate Kit for converting the Custom Brackets QRS-35-H, QRS-35-EV, and QRS-35-SV brackets to fit the quick release system on the Manfrotto (by Bogen) 3265 or 322RC2 Grip Action and standard ballheads that use the 3157N (RC2) plate. It is designed to be used with either tall or short cameras. Box Dimensions (LxWxH) 3.5 x 2.0 x 1.6"